If you have kept up with the cryptocurrency since its inception, then you may have witnessed the many opinions and controversies that have surrounded it. More recently, there have been various opinions from experts that have entered into the space and began to elaborate on its value, future and use cases. While some of these experts are helping to further the space and push the technology into mainstream adoption, there are others that may be spreading misguided knowledge. We created this list in order to help you navigate all of this information by understanding some basic misconceptions about Bitcoin and why people may have been misguided with their information. 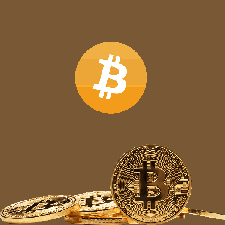 While this an important function, Bitcoin does not only allow for people to transfer value back and forth. One of its most important innovations is the distributed ledger design, the key feature that allows for Bitcoin to be pseudonymous, secure and trustless. This simply means that all transactions are stored on a transparent, community-driven blockchain. Its blockchain audits, protects and incentivizes trust in all transactions. Bitcoin does indeed allow for value to be transferred, but it does this in a more secure and sustainable structure compared to our current fiat payment systems. It has been said by experts that blockchain technology itself is nearly 100 years ahead of its time. This technology is set to not only revolutionize the efficiency and structure of how value is exchanged between two parties, but also has the power to create a new business and market structure in America. This new structure would be powered by community driven companies. Consequently, more value would be given to users who contribute data to applications, as well as the elimination of third-party interference in your private information and internet activity. Bitcoin, at its core, is one of the most secure forms of storing value today. Credit and debit card information is constantly being stolen by hackers who can easily access the centralized databases that store this information. While news of Bitcoin funds being lost or stolen may be reported every so often, this is not showing the lack of safety with Bitcoin — but rather the lack of safety by its users and the platforms that allow for storage. Coinbase, Poloniex and other popular cryptocurrency exchanges mostly run on a centralized server, not on a blockchain. This creates a less secure environment and gives a single point of access for experienced hackers. How safely Bitcoin is stored lies mostly with the user. Placing your digital asset holdings in a centralized exchange and not using a cold storage wallet will put you at risk. Bitcoin itself represents tremendous value. It’s value is derived from the introduction of blockchain technology, and without it we would not have any alternative to the faulty banking system and the wealth gap issue that America has been suffering from since the housing market crash of 2008/2009. While some liken the current state of blockchain to the “dial-up” days of the early internet, experts across the world agree that blockchain and smart contract platforms are set to revolutionize industries such as retail, insurance, banking, stock markets, venture capital, and even the automotive industry. It can increase efficiency, decrease the chance of fraud, and take some of the power away from the elite – giving it to the community at large without losing the incentive to participate. Bitcoin has a lot to offer and might even be the direct answer to the housing market crash of 2009. While some may say Bitcoin is “fake” and isn’t offering anything new to society, many believe that the opposite is true. The critics are unaware of the underlying blockchain technology, its potential to bring innovation to business, and how it can change the relationship between businesses and customers. It removes the voting power from a small group of people and allows for the participating community at large to contribute and receive value as well. While it can be regulated by the SEC, Bitcoin and its network cannot be shut down by any one person, party or government. The Bitcoin blockchain is one of the biggest and most secure, decentralized servers in the world. Put simply, the blockchain has no single point of failure, due to its distributed node design. If one node or computer that is connected to the network is shut down, the others would continue to maintain the network. Every single one of the millions of nodes connected to the chain would need to be shut down simultaneously to end Bitcoin. The SEC can place regulations for safer trading and tax laws, but it lacks the power or means to completely shut it down. This is yet another false claim, as Bitcoin is being accepted by more and more retail outlets every day. There are multiple platforms that are also offering the creation cryptocurrency debit cards that can be used anywhere that accepts them. Big corporations such as Visa are one of many offering Bitcoin debit cards. Ripple is another example of a revolutionary cryptocurrency platform that is aiming to allow any type of currency, anywhere in the world, to be accepted on its network. While this is a popular topic continuously being debated within the community, Bitcoin certainly has the potential to reach full mainstream adoption at the level of giants such as Visa or Mastercard, but it currently lacks the scalablility and infrastructure to allow it. Bitcoin and even Ethereum currently cannot handle the amount of transactions that would be taking place on a daily basis if it were a primary global currency or even the designated currency of one entire country. The transactional cost and time it takes to verify transactions on the blockchain are too slow at the moment. Bitcoin and Ethereum are actively launching updates to improve their protocols, however, and only time will tell if they will be the future or one of their newer competitors will be. While the rumors have spread – even through mainstream media outlets – of this event, it is simply not true. The creator of Bitcoin, Satoshi Nakamoto, is an anonymous individual whose true identity is not known. While he takes great care to keep his identity a secret, he has not truly abandoned the platform. The person, or team, that created Bitcoin still owns over 1 million Bitcoin. While some cryptocurrency platforms offer complete anonymity with their transactions, over 80% of Bitcoin transactions are publicly viewable on the blockchain with a connected block number. These transactions are cryptographically sealed, but certain information is public. This structure incentivizes trust and transparency between seemingly untrusting parties. Now that some of the misconceptions are cleared up, you can see where Bitcoin and even the cryptocurrency industry as a whole lies. There is a lot of uncertainty surrounding the future of Bitcoin and its ability to be adopted on a global, mainstream scale, but the true innovations that it brings to the table are undeniable.